The final 2017 Bay Area Trails In Motion Film Festival went down on November 16th in San Francisco! 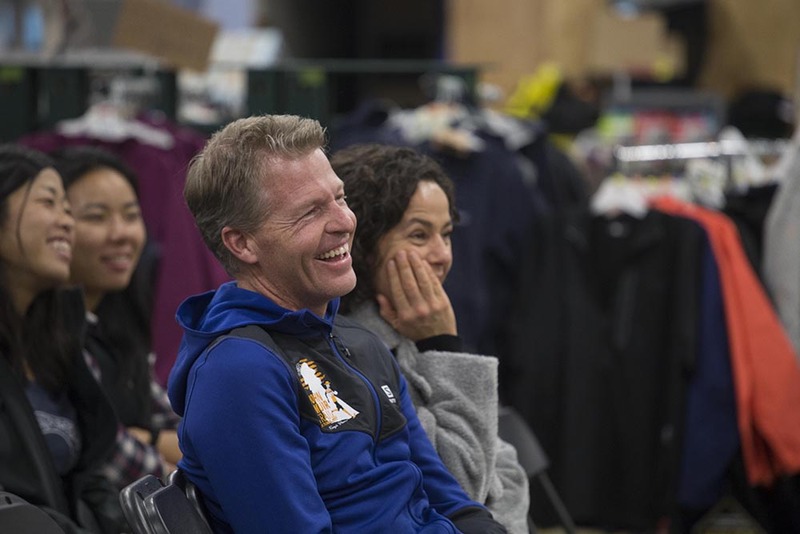 Just two nights ahead of the The North Face Endurance Challenge , this show was surely going to be huge. We invited heavy hitter guests Zach Miller, Pádraig Ó Laoghaire (Paddy O'Leary), Dylan Bowman and from the Mountain Outpost, Schuyler Hall to the show to help us all celebrate our amazing trail and ultra community. The QA at the end of the show with these lads was an all out riot for those that stuck around! Thank you again for entertaining us all, gentlemen. Our show sponsors, Ledlenser, NATHAN, Headlands Brewing Company, Victory Sportdesign joined in and offered prizes, beverages, and some great swag. Long time favorite guest and author, Sarah Lavender Smith even setup shop and had her new book "The Trail Runner's Companion" on hand for folks to check out. One lucky lady even took home an autographed copy! Big thanks to everyone that came to the show and props to our friendly volunteers, Ken and Eileen who greeted us all at ticketing with their great smiles. The Sports Basement staff gets some high fives too for being very accommodating and providing us with some generous discount coupons. All photos taken by a true friend to the trail and ultra world, Cris Gebhardt!